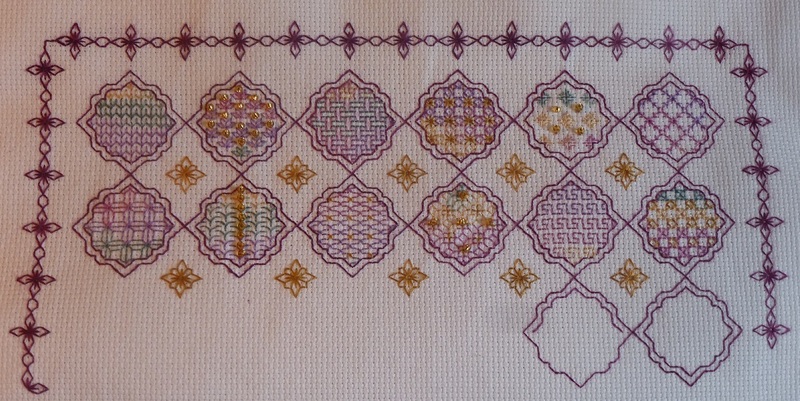 Your blackwork is so pretty! 🙂 I love the thread too- I’ve never heard of Dinky Dyes! Thank you! 🙂 Dinky Dyes have some beautiful flosses. Love them! I love all your work. 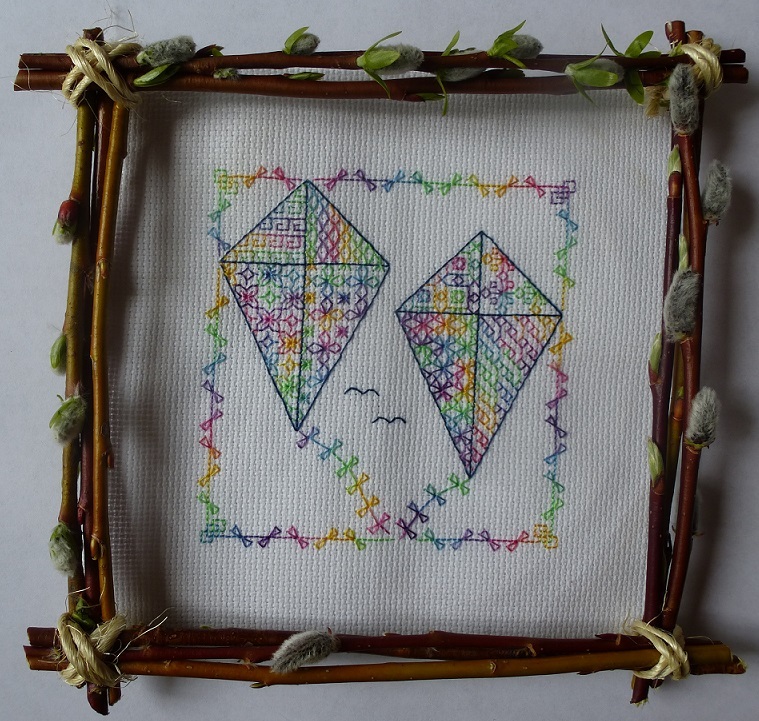 Right now I am partial to the kites because the theme and colors remind me of spring. The kites really make me think of spring too! Especially with the wild, windy spring squalls we’ve been getting – kites would go soaring! 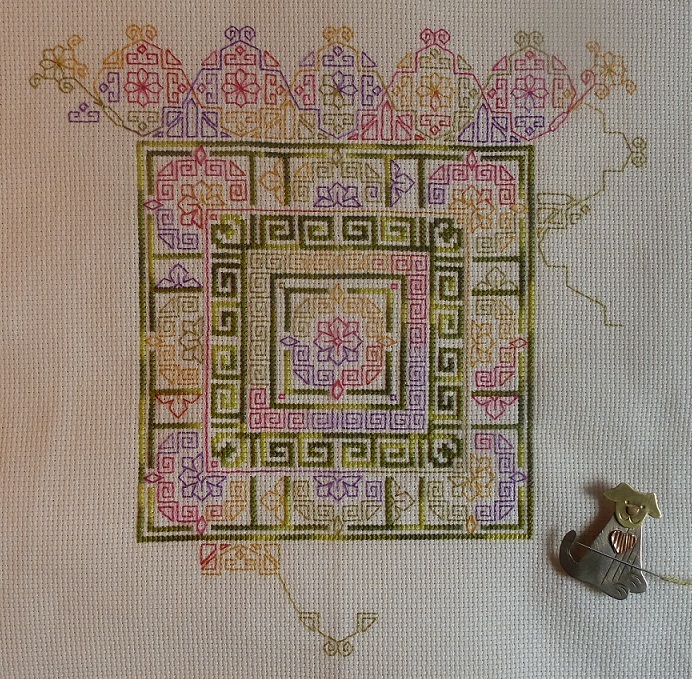 Your blackwork stuff is so nice, I think I am going to start again. Been so busy but find stitching and quilting relaxing. I am so happy to be a stitchy influence on you! 🙂 Yes, I find crafting to be relaxing too – something positive and creative is good for the soul. loving the frame of the kites.. is really lovely.. was it really made by using the sticks or is bought from a shop? Oh thank you! I made it with willows from our property.